Controlling diabetes is all about weight management. 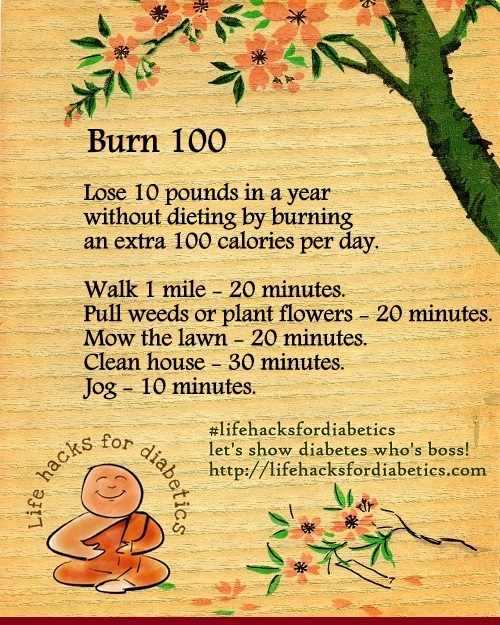 Lose 10 pounds in a year without dieting by burning an extra 100 calories per day. Walk 1 mile – 20 minutes. Pull weeds or plant flowers – 20 minutes. Mow the lawn – 20 minutes. Clean house – 30 minutes. More about weight management in diabetes.